Do you know the difference between stress and burnout? Discover the signs and symptoms to look out for. Slowly, things begin to feel like they are too much; emotionally, physically, mentally. You start feeling overwhelmed. Drained, like you can’t meet with the constant onslaught of demands. Over time, you realise somewhere down the line, you’ve lost that initial spark of passion; your interest and motivation have gone. These aren’t just signs of stress; these can be warnings that you are on the path towards burnout. Caused by excessive and prolonged stress, burnout is a combination of physical, emotional and mental exhaustion. Effecting not only your energy but also your productivity, it can leave you feeling hopeless, helpless, cynical and resentful. It can start to feel like you’ve got nothing more to give, and you may find yourself asking ‘what’s the point?’ when it comes to projects you were previously passionate and excited about. No matter how passionate and hard-working you are, whether you love your job or work to give you the breathing room to support the hobbies or side-business you are passionate about, you can still fall victim to stress and fatigue. Getting lost in work responsibilities can be even easier when you’re doing something you love; but, if you don’t remember to take the time to look after yourself and make sure you are taking a breather to unwind, you could risk slowly burning out. High-achievers can be particularly vulnerable to burnout. As many share a ‘can-do’ personality, often driven by their own high standards or even higher goals, they can easily miss the warning signs as they can be blinded by their passion. Tending to push through and dismiss their long hours, taking on heavier workloads, and putting more pressure on themselves to excel, they can risk pushing through their body’s physical signs they are overworking until they have got no more to give. Burnout doesn’t have to mean the end of a position you love. Tackling your burnout head-on can require some lifestyle changes but, once you are able to recognise and address the stressors that are negatively affecting your emotional and physical well-being, you will open yourself up to rediscovering your passion once more. Burnout or stress – what’s the difference? 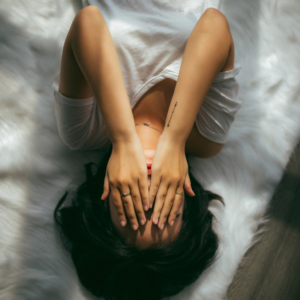 While burnout is in many ways just an extreme form of stress that gradually happens when we don’t listen to the warning signs our bodies give us, there’s a fairly simple way to remember some of the key differences between the two. Stress is too much. It’s feeling like there are too many demands, too much pressure, too much to cope with physically or mentally. Too much to do, too many responsibilities, too many expectations; being stressed is like feeling like everything is too much to handle. Being burnt out is like feeling there isn’t enough. No matter how hard you work or try to concentrate, you aren’t getting enough done. You haven’t got enough strength emotionally or physically to take on a new task or face the new day. It feels like you’ve got nothing left to give, like you aren’t good enough, and you may struggle to see the point in even trying. Just like we can feel stressed due to any number of things in our personal and professional lives, so too can we experience burnout across different areas of our lives. Manifesting in a variety of ways, the signs of burnout can be slow and easy to overlook or dismiss. Yes, almost all of us have days where we may feel helpless, unappreciated and overloaded. But, it’s when you start to feel this way most of the time that this can be a sign something may be wrong, and you could be on the road to burnout. Burnout doesn’t just happen overnight. Smaller symptoms and signs can pop up over time that, when combined, can paint a clearer picture of the stresses and strains you are under that you may not have even consciously realised. By spotting these early warning signs and addressing them as you go, you can prevent things from getting progressively worse and manage your stress before things become too overwhelming. Our bodies and minds give us warning signs that we are becoming overwhelmed. While it can be tricky to tell the difference between stress and burnout, the earlier you can recognise these signs, the better chance you have of heading them off before they start to worsen. We share six simple early signs of burnout, and how you can get back on track if you’re worried you may already be experiencing burnout. 1. Insomnia, disturbed sleep or exhaustion – having trouble falling or staying asleep, as well as a persistent feeling that you are exhausted or haven’t had enough rest. This can include feeling physical or emotional feelings of tiredness, exhaustion, being drained, or dreading the day or week ahead. 2. Decreasing concentration or increased forgetfulness – starting with trouble focusing or forgetting a few things, this can progress to struggling to get things done, start new tasks, or constantly overlooking responsibilities you may have previously remembered without trouble. Your performance may begin to suffer, no matter how much time or effort you put into things, as you struggle to be as effective as you were before your concentration began to wane. 3. Physical symptoms – these can include shortness of breath, increased headaches, feeling dizzy or short of breath, or fainting. Physical symptoms should always be addressed with your GP to make sure they aren’t a sign of something else. 4. Increased anxiety or anger – feeling more worried, tense or on edge to the point it may affect your overall mood, productivity at work, or ability to relax and socialise at home with family or friends. An increased feeling of irritability, angry outbursts, an increase in starting or taking part in arguments at home or work can be signs that stress is emotionally overwhelming you, and you could be close to burnout. Feelings of being hopeless, worthless, or trapped can also be indicators. 5. Decreased enjoyment and unusual changes in attitude – losing interest across different or specific areas of your life, from spending time on favourite hobbies or with friends and family, to no longer liking the job you previously loved. Talking about yourself negatively, or noticing that your feelings towards co-workers or family have become more negative can be warning signs, as can new feelings that you cannot rely on others. This may lead to feelings of isolation, a decreased interest in socialising, or an active avoidance of activities or habits that would have you spending time with co-workers or loved ones. 6. Disconnect, apathy or hopelessness – you may begin calling in sick more often, may be slow to respond to emails or stop returning calls altogether. Coming in late to the office to avoid morning chatter, or leaving early to avoid colleagues. It may feel like nothing is going right at the moment or like nothing matters. These feelings can become immobilizing and all-consuming; you may feel frustrated at your own lack of progress or decreased performance, or like there is no light at the end of the tunnel. It’s vital that no matter how many or how few signs and symptoms you notice, you address them as soon as you can. The longer you wait, the worse they can become and the more than may start to creep up on you. If you start to experience more than one of these symptoms, try to take a step back and assess how much and what stressors. A life coach may be another option to help you achieve a better work/life balance. Tailoring their advice and guidance to help you, they can help you to better understand your feelings, recognise and set your own goals, and signpost the next steps you can take towards making big life changes. With the help of a coach, you can learn to recognise and tackle the signs of burnout, set healthy boundaries, and feel confident to speak up when you begin feeling overwhelmed. They can introduce you to healthy stress coping strategies while sharing small tips and ways in which you can improve your effectiveness at work and at home. Find a life coach near you.